As an artist or arts supporter in Baltimore, what are you rising from? As an arts community, where do we go from here so that there will be no need for Artpartheid? YOU are invited to share your opinion, your truth, about Race, Equity and the Baltimore Arts Scene. 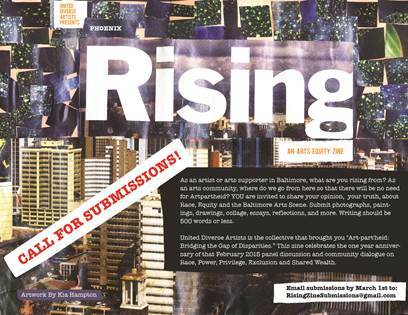 Submit photographs, paintings, drawings, collage, essays, reflections, and more. Writing should be 500 words or less. United Diverse Artists is the collective that brought you “Art-part’heid: Bridging the Gap of Disparities.” This zine celebrates the one year anniversary of that February 2015 panel discussion and community dialogue on Race, Power, Privilege, Exclusion and Shared Wealth. 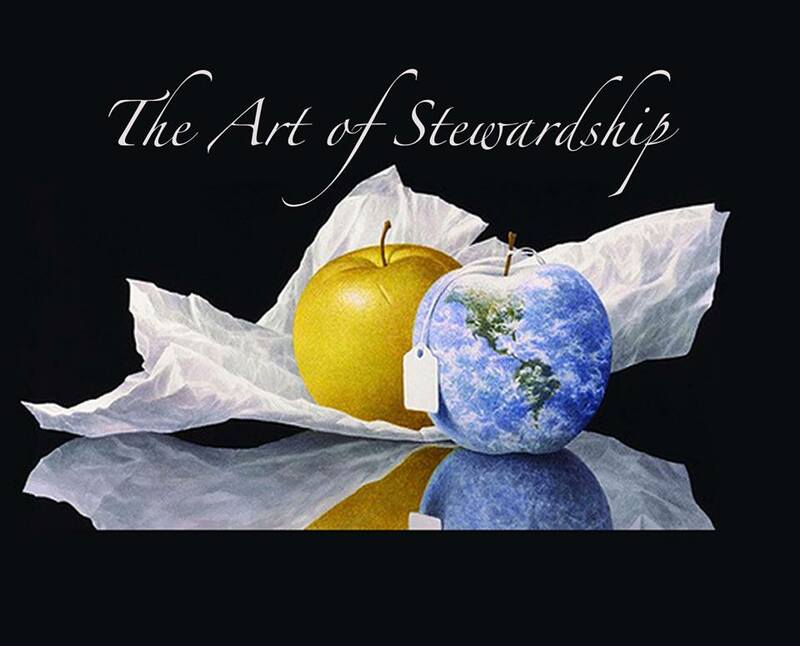 The Howard County Conservancy will host its Sixth Annual Juried Art Show, THE ART OF STEWARDSHIP –“Nature Through the Artist’s Eyes” March 9 – April 8, 2016 in the Gudelsky Center Gallery. 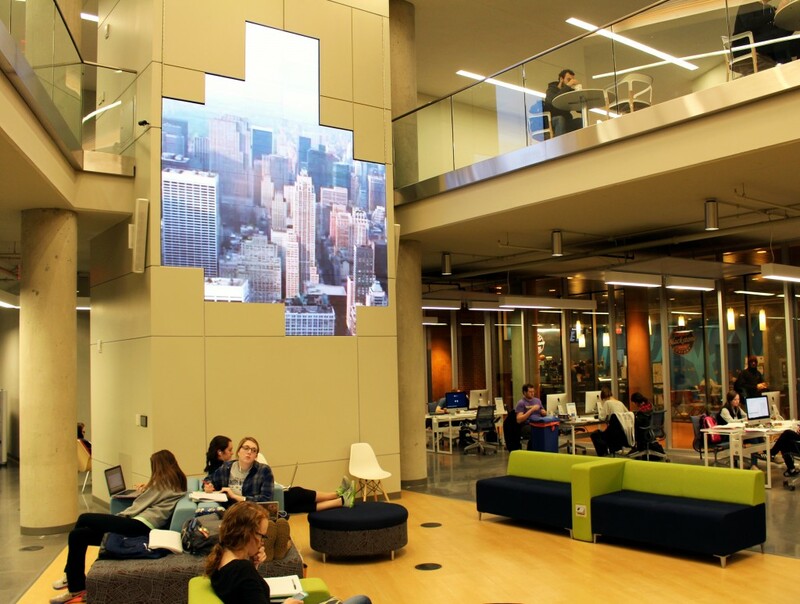 The UMW Media Wall is now accepting submissions for the 2015-2016 academic year. The Wall is a one-of-a-kind moving image exhibition space located in the atrium of the Information and Technology Convergence Center at the University of Mary Washington in Fredericksburg, VA. The Wall is a large scale high definition video canvas composed of 43 separate Prysm Laser Phosphor Display (LPD) tiles arranged into a freeform array that measures 10 feet wide and 12.5 feet tall. Every month a new artist or group show will run on a continuous loop for two weeks. The Downtown Development Commission of Cumberland, Maryland is seeking artists who would be interested in designing a Signage Mural for the Historic City Center of Cumberland. The mural would be 30’ x 10’ and would be printed on sheets of thin metal prior to being attached to the side of a prominent brick building at the entrance to the downtown pedestrian mall which forms the central part of the Historic City Center. 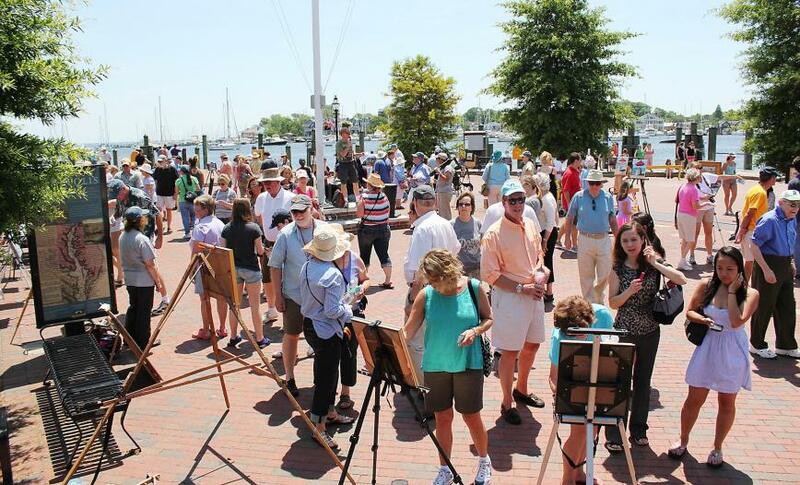 Paint Annapolis is a five day juried plein air painting competition held May 30-June 5, 2016, hosted by the Maryland Federation of Art. 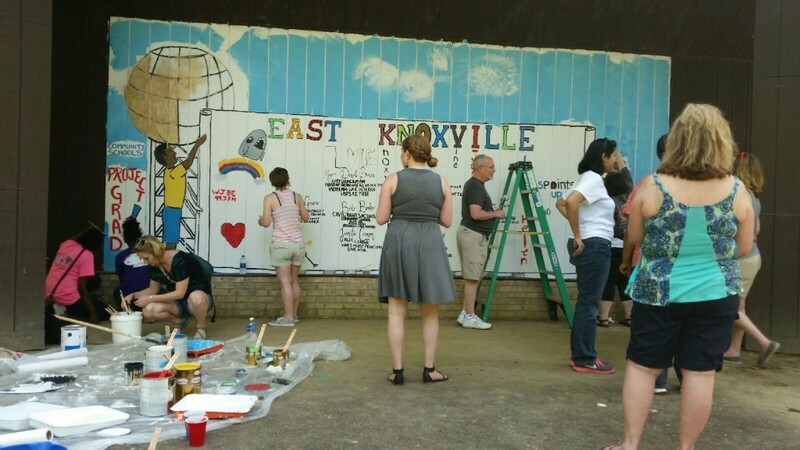 The Public Arts Committee is pleased to announce a Request for Proposals for murals in downtown Knoxville! Applications are available on the City of Knoxville’s Purchasing Department website here. All proposals must be received by 11:00 AM on February 15, 2016. 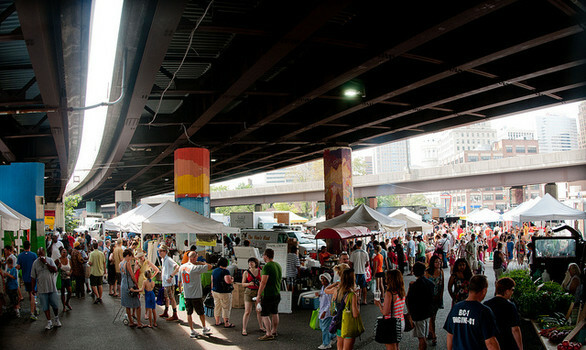 Baltimore Farmers’ Market & Bazaar showcases original works of art from regional artisans. Craftspeople can apply to sell their artwork, such as paintings, photographs, jewelry and handmade furnishings/decorations.